It is characterized by intense and, at times, uncontrollable drug craving, along with compulsive drug seeking and use that persist even in the face of devastating consequences. 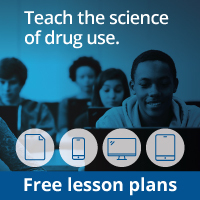 This update of the National Institute on Drug Abuse’s Principles of Drug Addiction Treatment is intended to address addiction to a wide variety of drugs, including nicotine, alcohol, and illicit and prescription drugs. It is designed to serve as a resource for healthcare providers, family members, and other stakeholders trying to address the myriad problems faced by patients in need of treatment for drug abuse or addiction. Addiction affects multiple brain circuits, including those involved in reward and motivation, learning and memory, and inhibitory control over behavior. That is why addiction is a brain disease. Some individuals are more vulnerable than others to becoming addicted, depending on the interplay between genetic makeup, age of exposure to drugs, and other environmental influences. 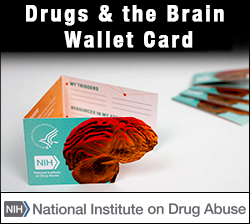 While a person initially chooses to take drugs, over time the effects of prolonged exposure on brain functioning compromise that ability to choose, and seeking and consuming the drug become compulsive, often eluding a person’s self-control or willpower. As we look toward the future, we will harness new research results on the influence of genetics and environment on gene function and expression (i.e., epigenetics), which are heralding the development of personalized treatment interventions. These findings will be integrated with current evidence supporting the most effective drug abuse and addiction treatments and their implementation, which are reflected in this guide.